Mortal Kombat Komplete Edition, released about a year ago on consoles only, has been released last week to PCs featuring high resolution graphics and all DLCs included in the package. Though the graphics are already really good in PC port, as a PC gamer you might want to add more eye candy and play MKKE in its full PC graphics glory, so what about adding Ambient Occlusion to it? See “Enable Ambient Occlusion” on top of screenshot? Don’t forget to enable it before trying to use that feature. 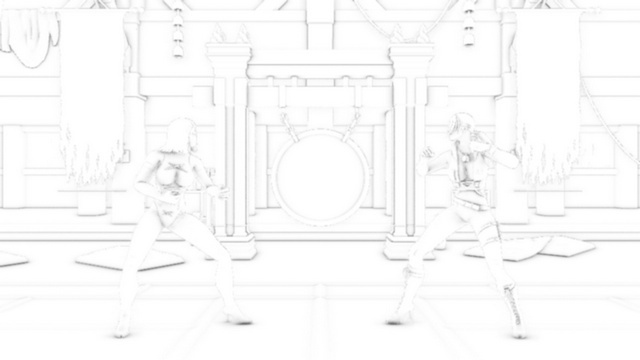 After adding the Ambient Occlusion profile, create a game profile for MKKE.exe and enable Ambient Occlusion for it. Click here to see the effect applied. High-end HD 7950/7970 cards can play with Ambient Occlusion at Ultra level without much performance hit, for less powerful cards it’s recommended to use lower quality level to avoid performance decrease. That’s it, enjoy Mortal Kombat Komplete Edition with enhanced graphics!